You can breathe a little sigh of relief, Hearties! Hallmark is not canceling When Calls the Heart in the wake of Lori Loughlin’s college admission scandal. While Hallmark did fire Loughlin and sever all ties with the star, the network wants its loyal viewers to know that the show itself is not in jeopardy. However, that doesn’t mean there won’t be a few growing pains as Hallmark works out how to air the remaining episodes Loughlin has already filmed — and that includes no new episode of When Calls the Heart tonight. Here’s what we know. 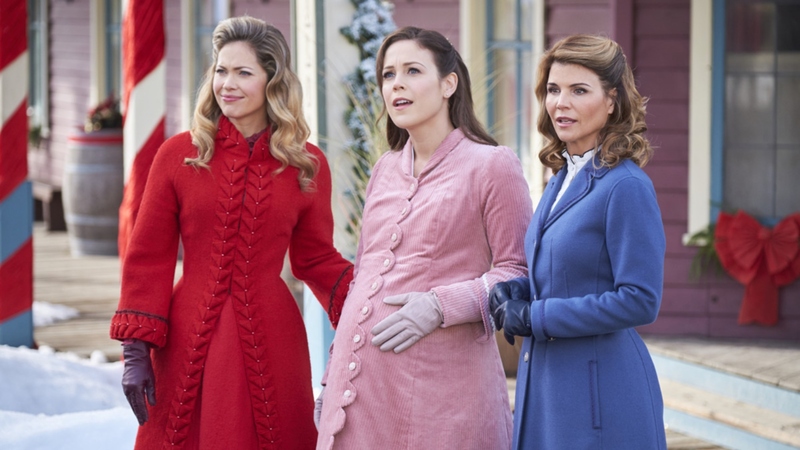 #Hearties, we assure you that Hallmark Channel has no plans to cancel When Calls the Heart. Hope Valley has many more stories left to share and we will let you know the details soon. Based on Janette Oke’s Canadian West series of books by the same name, When Calls the Heart has been a ratings boon for Hallmark. The series’ two-hour Christmas special, the premiere of the sixth season, was the highest-rated and most-watched episode in the series’ history. According to Cinema Blend, that bumped When Calls the Heart to the third original scripted cable series on television this year so far. That synopsis could easily change, though, since Hallmark has said it is evaluating all of its “creative options” in moving forward without Loughlin. Which — curses! — means we’ll have to wait even longer to meet new Mountie Nathan Grant (Kevin McGarry).